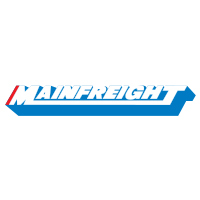 Mainfreight is a global supply logistics provider. Our global footprint has grown to span 5 continents. We’re a business that is as much about problem-solving for our customers as we are about physically moving their freight. Today our business revolves around clever thinking, smart technologies, international logistics and above all, people. We manage the worldwide transport, logistics and distribution of product for our customers, getting their products from a point of origin into the hands of their consumers. We handle everything from perishable food and flowers to heavy duty machinery, wine – even designer cycling gear! We are creating a 100 year company. That means every person, and every decision we make today, will leave an imprint on this company now and for 100 years to come. This long-term vision guides us a business and determines our decisions and actions every day including how we approach the recruitment and training of new team members and customer and supplier relationships. Very rarely do we recruit from outside of our business. Instead, we focus on getting the right people on board through entry level positions and help them develop the tools it takes to become our Future Leaders. Since we began in 1978, we’ve been known as a free thinking business which isn’t restrained by political correctness. Today, as a well-respected global business, we continue to challenge the status quo and be passionately outspoken on social, economic and business issues. At Mainfreight you’ll enjoy lots of benefits, like world class training, great pay, ongoing job security and the opportunity for career advancement.